Thailand has a seductive atmosphere of fun, thrills and outstanding natural beautiful; no wonder it's been a travellers top destination forever. A backdrop for generations of adventurers set in a spiritual place full of beautiful temples and diverse landscapes. You can hustle and bustle in Bangkok or party and chill in Koh Phangan. Thailand is the perfect place to start your travelling experience. This post summarises a three week trip across the country where we used planes to quickly navigate between locations. Poor for the environment but it was the only way we could see so much in the time, sorry world! We found air travel a very affordable means in Thailand, normally around £30- £40, 1564 Thai Baht. We were one of only 10 people on one flight in a storm making it one the scariest flight in history, well Mali's history! Our first port, or airport, of call was Bangkok but we weren't to experience the delights of the capital until the end of the trip. Instead, we jumped on a plane towards northern Thailand arriving at Chiang Mai International airport. Several operators run these routes allowing us to book our flights on arrival, you before hand in high season (November to Feb) as it can get incredibly busy. Northern Thailand reminded us of parts of China, hardly surprising seeing as they're so close and share a similar climate. It might be that we that the monsoon season was more noticeable in the North but it felt very different to the touristy beach areas of Southern Thailand. In the North the landscapes are littered with tropical flora and moody rain clad skies that are set against Buddhist temples and ancient structures. So to relax into the vibe you should set your senses alive with a massage. The Thai massage is world famous and masseurs are plentiful, as it plays into the distinct heritage of soothing the bodies and soul. Talking of soles, the foot massage is a much famed part of Thai reflexology, which we ended up having them every few days. Another must do is attending the night markets which carry on wind, rain of shine. Many beautiful trinkets and hand made nik naks can be picked up for a good price, perfect for presents for your loved ones back home. Another local specialty is the cuisine and the many Thai cooking schools that run workshops for tourists in Chiang Mai. Thai food, as I'm sure you know, is delicious; fresh ingredients that are cooked quickly and sourced locally. Who wouldn't want to learn how cook such delights? Even if you don't fancy the cookery school tasty food can be found everywhere; we were enjoying Thai green curries for breakfast by the end our trip! Getting around Chiang Mai can be done by taxi for longer journeys but the bike is the purest way to see all the details of the city. We had a lot of fun zooming around Chiang Mai, where the roads felt safe, stumbling on to a final year Fine Art degree show. A place we wouldn't have found without the bike; so who knows what you might find on your adventures. There was a interesting little arty wood cafe on the University campus that we dived into to avoid some monsoon rain. We enjoyed some chai tea and cake, good to know English pleasures are making headwind in Asia. Any travel book or lonely planet guide will rank the Wat Phra That Doi Suthep temple as one of the must see attractions of Chiang Mai. A temple set at the top of an epic set of gold leaf stairs. Temples are a deeply spiritual place for the Thai people, many make the pilgrimage, which can make them busy and a little noisey. We encountered a pretty naughty monk at this temple; he decided to spray water over all those queueing to be blessed, and some who weren't queueing like us. Naughty monk! . When it comes to the evenings you can find numerous bars to wet your whistles at and restaurants to enjoy delicious local cuisine. Walking the streets during a market evening opportunity gives the chance of shopping for local goods. You can see from the photo below that ambient lights glistening off the water logged streets is very special and very Thailand, exotic colours and that unforgettable street market smell. At least they weren't selling live animals like they do in China. There are many cultural experiences to be had with Chiang Mai City Arts and Cultural Centre ranking high. 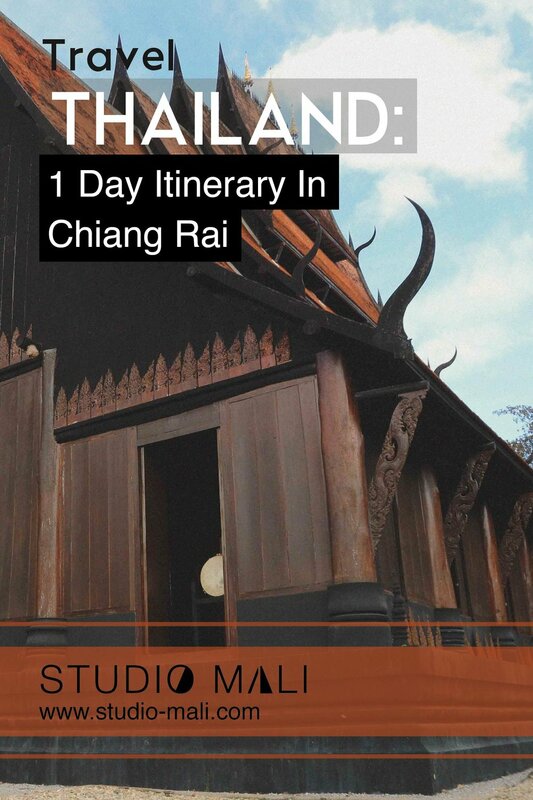 Here was an opportunity to explore the local culture, ancient artefacts and read up on the story of Northern Thailand. One of the memorable highlights was that was a museum parrot in the museum entrance hall, ready to squawk a pose with visitors. We couldn't help but get a little picture with our new friend. You need to spend at least one day at the Huay Tung Tao Reservoir, which is a 40 minute cab or coach from the city centre. From here you can book a little hut on stilts where you can enjoy the view of the reservoir and soak up the relaxing ambience. Local businesses tend to the huts, selling food and drink, which allowed us to sample one of best dishes we had in the whole trip. A chilli covered fish that had been BBQ'ed and then served in fish broth and vegetables. It was absolutely delicious, take us back and feed us fish! When our time in Chiang Mai had passed, we took a short flight to Koh Sumai in the south of Thailand. Sitting in the Thai gulf surrounded by many smaller islands Koh Sumai is the perfect starting point explore the area. After the serenity of Chiang Mai we found Koh Sumai a bit of a culture shock. It had a similar feeling to a Spanish Brits abroad bar strip; just check this to get an idea of what that looks like, expect a few lobster! So Initially, we weren't that impressed as we had travelled so far to get similar atmosphere to places in Europe. feeling a little disappointed we found a place to sleep in Chaweng, dropped our bags and hit the beach. It turns out there was a beach party that evening. Grabbing hold of our inner youth we wondered up the beach towards lasers, house music and revellers in the sea, perhaps this a little different from Spain after all! here is a shot of a Thai nutter swinging fireworks from ropes, pretty awesome. We spent a night in Chaweng and then got a cab out to Mae Nae area in search of something more rustic and humble. We struck gold with a tree bungalow at the base of the jungle, check the image below. After a short walk we were on a beautiful sandy beach with a few little cafes dotted around. We found out that sunbathing and curry is the collaboration of genius, filling up on curry only to fall asleep in the afternoon sun. That evening we had a mildly funny but mostly scary run in with a local pack of dogs who were after some of our leftover pizza. They followed us back to the tree house nipping at our behinds, our only escape was to chuck our left over pizza at the dogs and run, it worked, dogs 1 Mali 0. We relaxed for a couple of days in Koh Samui and then jumped on a boat to the famous party island Koh Phangan. Ferries are frequent but busy. Synonymous with with Asia's outdoor party scene, we actually found Koh Phangan quite relaxing but if you go looking for a party one will be found. We were there at the time of a half moon party with the full moon, the bigger brother, happening two weeks later. It was quite an experience, The setup is a vast network of bars, stages, hammocks and buckets (of alcohol and Thai red bull). The most memorable part was approaching the party by cab through winding roads with the thud of kick drum growing and then be let loose to rave in the open forest. although we love electronic music we found the Thai style a little to bombastic for our tastes. Music aside it was fun and if glow sticks and neon are your thing; we would recommend a visit, although don't drink too many buckets! The full moon party happens once a month at the Haad Rim at the South East of the island. We hear it is a larger and a far more commercial experience. We found Koh Phangan utterly beautiful, the sunsets were some of the most memorable we have ever seen, travellers are drawn to islands for natures pinnacles. it was recommend to stay on north west side of the island on account of the views of the sun falling into the sea at sunset. There was a huge array of choice on the calibre of hostel, cabin or hotel on the island. We moved around and stayed at a few places. With one of our favourites being the Shiralea backpackers resort just north of the had yao beach. They have a bell that when run signals that the ringer of the bell must purchase everyone at the bar a drink. Someone rang it at breakfast and we did a runner as we didn't fancy vodka with our breakie! Cabins come with hammocks so we spent some time chilling and soaking up some literature, Of Mice and Men I seem to recall. Being as stunning beaches could be found North and South of the resort we spent the rest of time collecting sun rays; safely of course as Ali only allows factor 50 into our backpacks! beaches, kayaking (again), funny crabs and cocktails pretty much sums up our experience of Koh Phangan. Sadly all good things must end and we had to start our voyage to the big Bangkok. The journey from Koh Phangan to Surat Thani consisted of two boats, one to Koh Sumai and then one to the mainland. Coaches got us to Surat Thani trains station where we boarded a sleeper train to the capital. We found the transport more expensive than expected but everything ran very reliably. One tip, definitely avoid the overnight train food, this was one of the few times somebody ripped us off by attempting to charging us twice for breakfast. Take your own food to avoid a similar dilemma. Bangkok was a sweltering 40 degrees when we arrived. An intense and heady city with crowds, culture and buzz unlike many we have visited. Getting around the city is easy with Tuc Tucs and coaches, the Sky train and metro link all your Bangkok dreams together! We took off to the Grand Palace, which is an awe - inspiring sight. Majestic structures frozen in time with decoration pushed to an unrivalled limit. As creative folks we spent a lot of time up close looking at enamelling and tiles that have been exquisitely applied across every building. Pure artisans at work, miss this at your peril! But be prepared to share the experience with many other pilgrims of beauty. Thrill seekers should use a Tuc Tuc to get around the city. Thai drivers are mental, 0 - 40mph in seconds, using every opportunity to squeeze their way into traffic to keep moving forward, just don't rest your feet on the back of their chairs! Our next stop was Jim Thompson's house, just as the monsoon rain struck. Avoiding big downfalls is a skill you must develop during the rainy season! Mr Thompson was an architect come explorer who travelled the world and settled in Bangkok we he built himself an exquiste home. Settling in Soi Kaseman 2, Thanon Rama, he aroused fame from his involvement in the then dying art of silk weaving. He brought about a renaissance in the artistry and built a beautiful house in area of the silk producers. He was celebrated as an explorer, art collector and also a man of mystery, embroiled in a conspiracy surrounding his disappearance in 1967. Visiting the house is must for art and mystery lovers alike. Your money will go far in Thailand, a UK pound will get you 43 baht / a dollar 34 baht. A low cost meal in Thailand can be between 40 and 100 baht. That said, you should expect prices to rise as you hit touristy areas and of course Thailand can be done in a very luxurious way at a far higher cost. Increasingly Thailand is moving in that direction so don't just run in to the first place you find, see where the locals eat. The NHS recommends diphtheria, polio and tetanus (combined booster), typhoid, hepatitis A – including when combined with typhoid or hepatitis B, cholera. As we travelled in monsoon season mosquitoes were widespread so we used a deet-based spray and mosquitoe nets but malaria tabs weren't needed where we travelled, check with your travel clinic 3 months before travel. We travelled around Thailand in August, monsoon season, but found it both refreshing and hot, which was a perfect balance for us. Thailand is quieter in these months which was great for visiting hotspots, we would recommend this time of year. That said, peak season is Nov - Feb and is far hotter. So if your jam is all about sunbathing this will be the perfect time for you. You'll share beaches with many other tourists unless you go exploring more remote parts. Backpacks (65L / 40L) clothes for 5 days / mosquito nets / walking boots / sandals / sunglasses / digital camera / warm jumper / guide book / toiletries / first aid kit.